Once again, Trip proves that if I ask, she can deliver. Hopefully this will also apply at World Team Tryouts in a couple of weeks. We are working hard to make sure we’re as prepared as possible. I feel like she’s right there–we’ll just have to see where the chips fall. She did great on a Standard course designed by judge Gruber from the Bogota trial last night. I think my perception of what’s “difficult” has been skewed, because I didn’t think it was that bad. My only real issue was a poor handling choice when it turned out I couldn’t actually get there for a front cross, and you HAD to get to the other side of the aframe. Anyway, I’m very proud of that MACH 3. Also completed her competition record for Tryouts, and she has an 80% Q rate in both Standard and JWW for the last year (I think she was at 75% in Standard and 80% in JWW the previous year). I’ve never dreamed of that level of consistency. 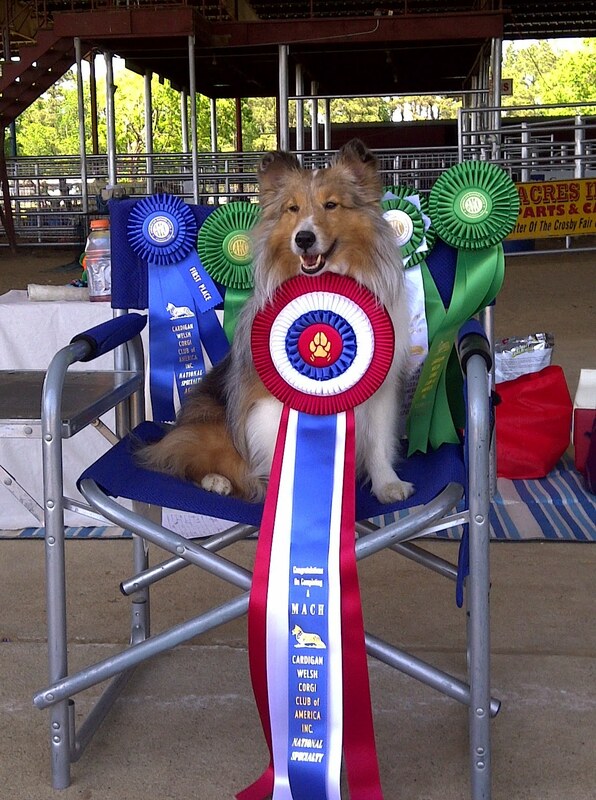 Ticket managed to get her OA title in Baton Rouge last weekend, but I screwed her up so no OAJ. Tried again on Tuesday, but the surface was like ice, and Ticket is not a dog who knows how to handle slick dirt yet. She was trying so hard to dig in, but it never occurs to her to slow down and collect a bit more. Her first run in Excellent was…entertaining. Very much showed she was a baby dog. We’re heading to Lake Charles for the weekend. Hopefully Ticket will come home with a new title–I’m ready to be done with Open. For Trip, we’ll celebrate her MACH, eat some crawfish, and have a few more perfect runs, where, no matter what happens, I get to take home my best girl.